32128 San Roman Rd., Los Fresnos, TX, 78566 - Photos, Videos & More! Reduced!!! Great hunting property fronting on San Roman Rd just south of Bayview. 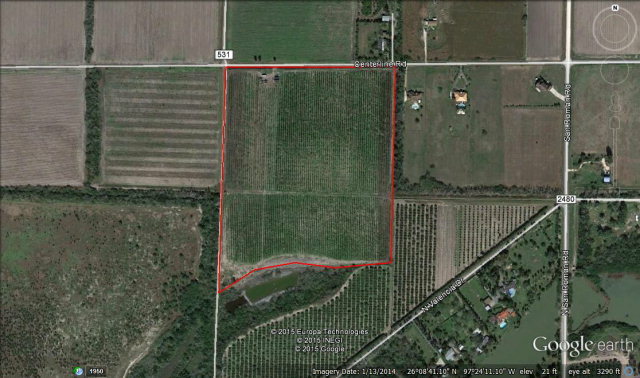 Property features deer, hogs, nilgai, dove, etc. and includes a 700 square foot cabin and 1,800 square foot barn. The property is currently used for hunting. Water well and power on site. Los Fresnos CISD, East Rio Hondo Water Supply. Property lies in Flood Zones C and B and is in Irrigation District #11.